TANJUNG REDEB - The alarming poaching rate of sea turtle eggs in several islands within conservation areas is getting serious attention from many parties, since these islands are used as nesting sites by the Green Turtle and other species. It is not unusual for anyone to fins sea turtle eggs being sold up to the next town over, despite there are laws in force. Lacking guards and operational facility are among undeniable reasons why poaching still persists. In response to the situation, Turtle Foundation, an international NGO working for sea turtle protection in Berau, granted one unit of speedboat to BLB and PROFAUNA Borneo. 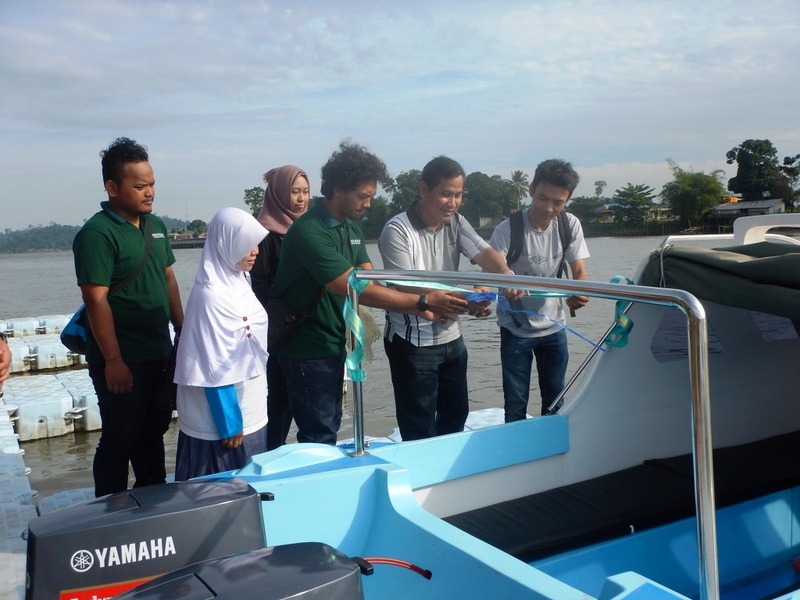 This water vehicle is donated by Turtle Foundation to improve the security of sea turtle eggs in these conservation areas," said Fuadi, the Head of Berau Marine Affairs and Fisheries Service, to beraunews.com on Friday (12/8/2016). Along with the new speedboat, in total Berau Marine Affairs and Fisheries Service now owns three units of operational vehicles. The speedboat can be used also by BLB and PROFAUNA Borneo. "Currently we have three, but to cover the vast waters of Berau, we need to engage fishermen and tourists to take part in curbing criminals," added Fuadi. He expects the foreign aid could lead to better prevention of sea turtle egg poaching and other marine crimes such as fish bombing and many others. Similar course of actions must be taken immediately to keep up with the rapid ecosystem destruction.